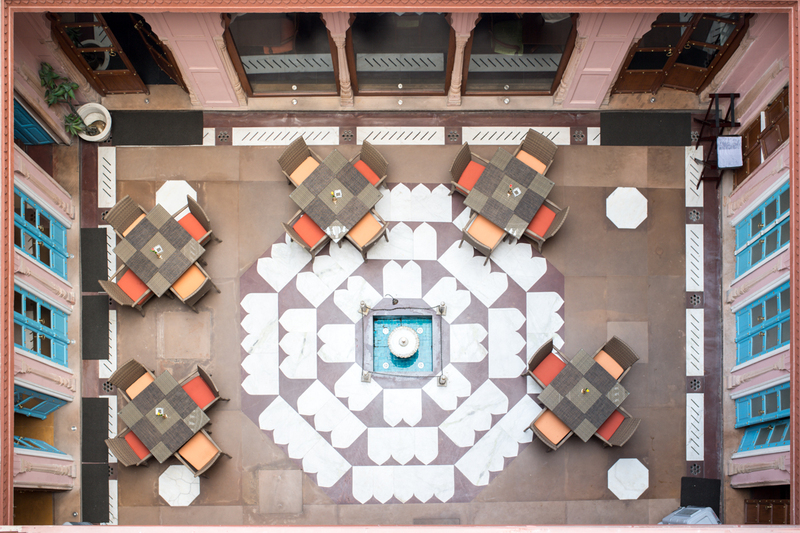 Delhi in July! Since we are traveling around the world in one direction it’s hard to visit each destination during the optimal time of the year. 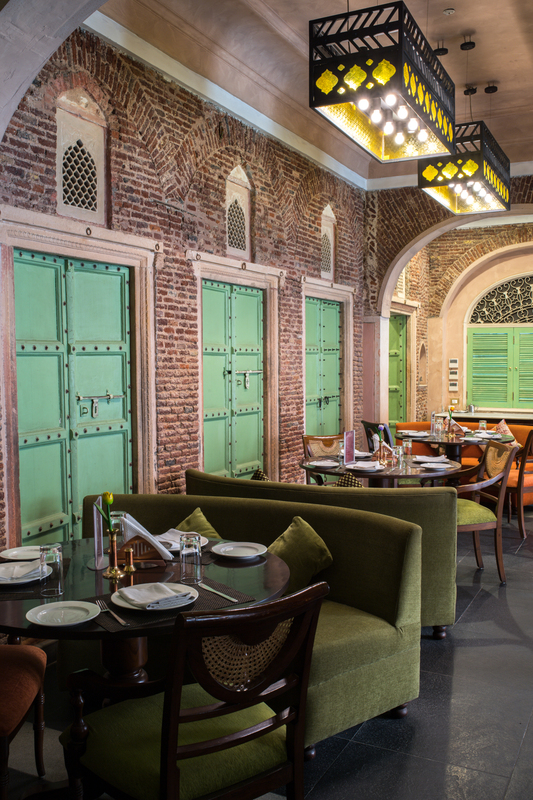 That is how we found ourselves visiting Delhi in July – and it. was. hot. 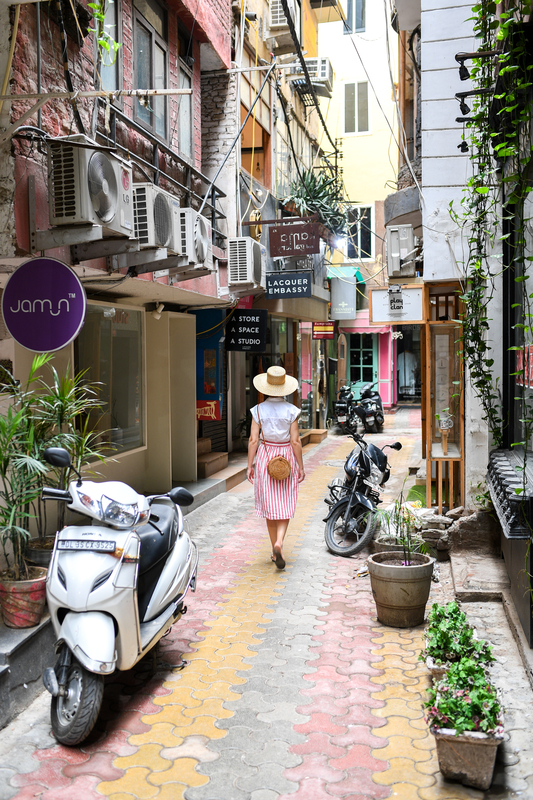 That said, by planning most excursions for the early morning hours and indulging in multiple fresh lime sodas each day we were able to beat the heat. 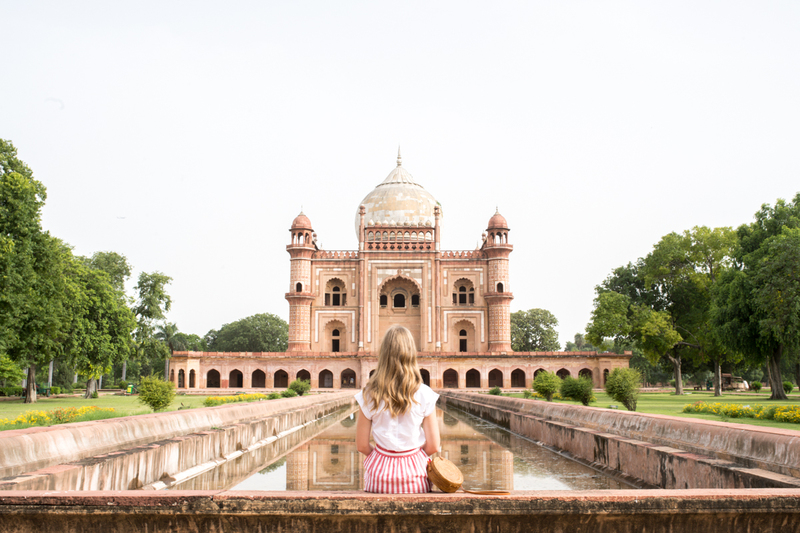 Much more than seeing Delhi’s monuments, I think travelers should visit India’s capital to observe the rambunctious street life. 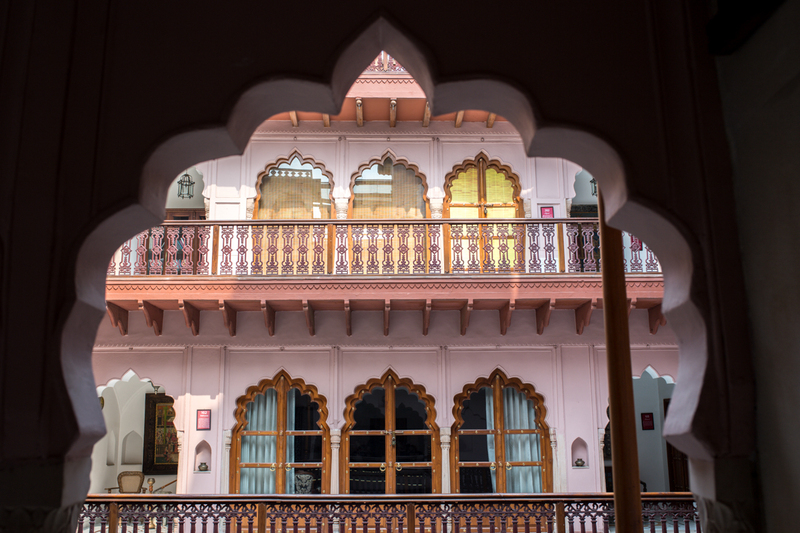 At the recommendation of our friend Zory, we chose to stay in Old Delhi at a little pink oasis right in the middle of the action, a historic hotel called Haveli Dharampura. 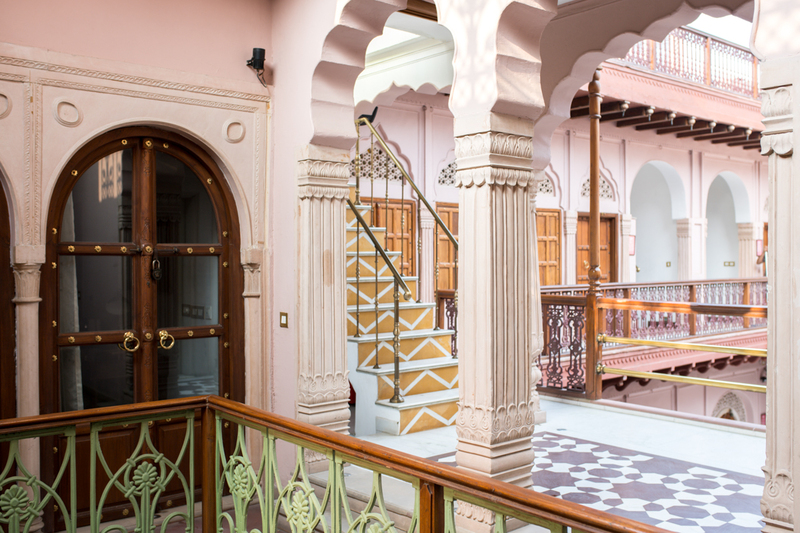 Havelis are traditional townhouses or mansions common throughout India, Pakistan and Nepal, often build by merchants or noblemen to display their wealth. 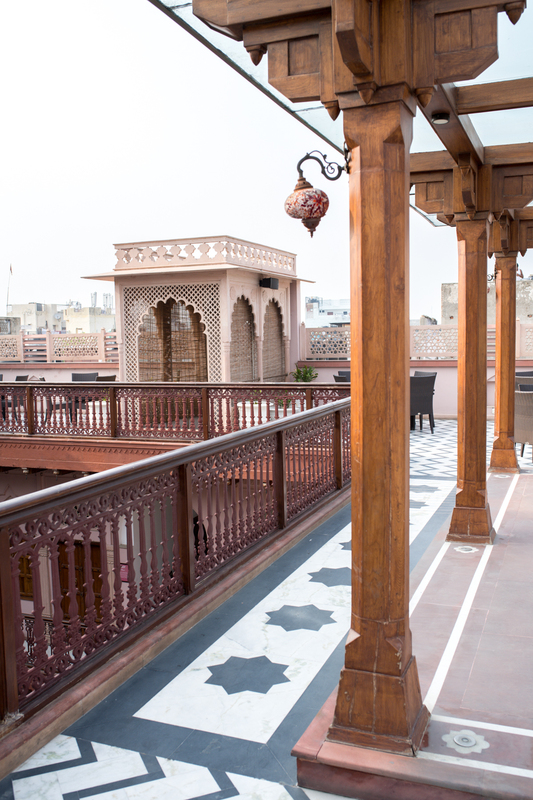 14 rooms gathered around a central courtyard, the haveli is a tribute to the royal Mughal architecture from a bygone era and a fantastic base for exploring Old Delhi. 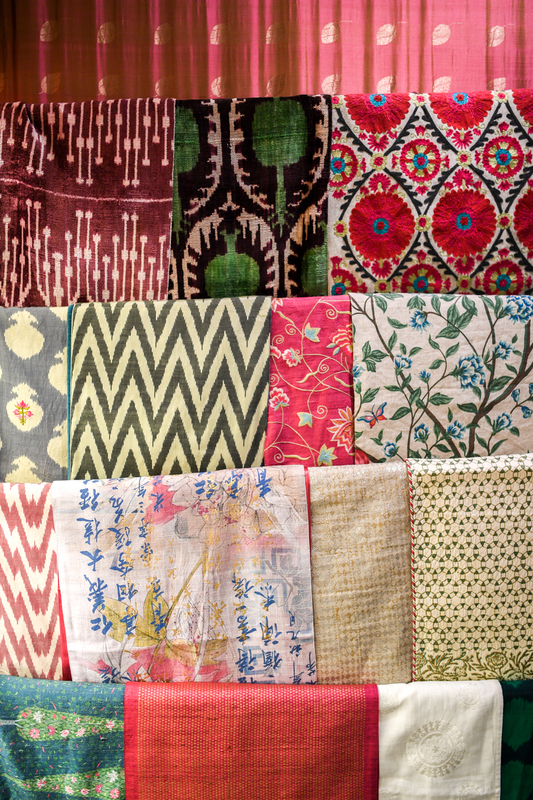 Most visitors head to Chandni Chowk’s spice market, but I prefer the beautiful trims, tassels and embroidery shops found along Kinari Bazaar Road. 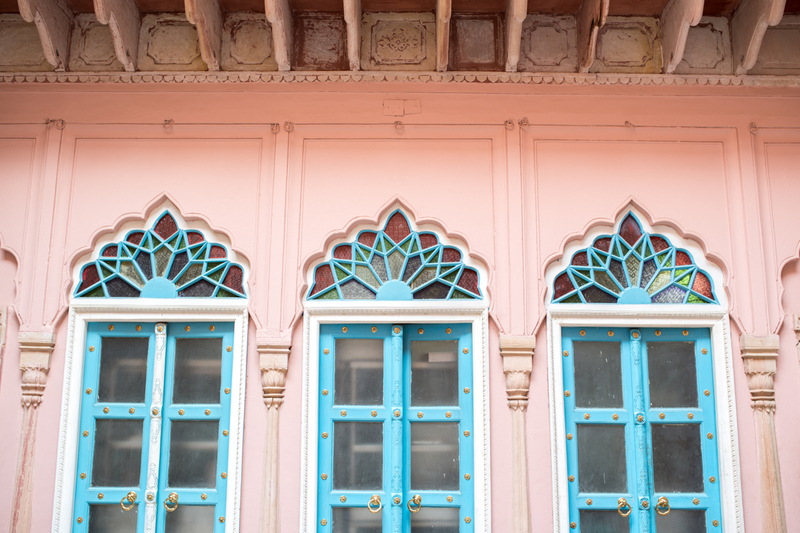 Near Masjid Khajoor there’s a small row of carefully preserved historic homes in a little lane off Kinari Bazaar Road that I highly recommend for their ornately carved doorposts. (See the first photo in this post.) When wandering the market I also recommend women bring a scarf to cover your head-it is not required but it may help minimize the inevitable staring, and others will appreciate your thoughtfulness if you decide to tour a mosque. 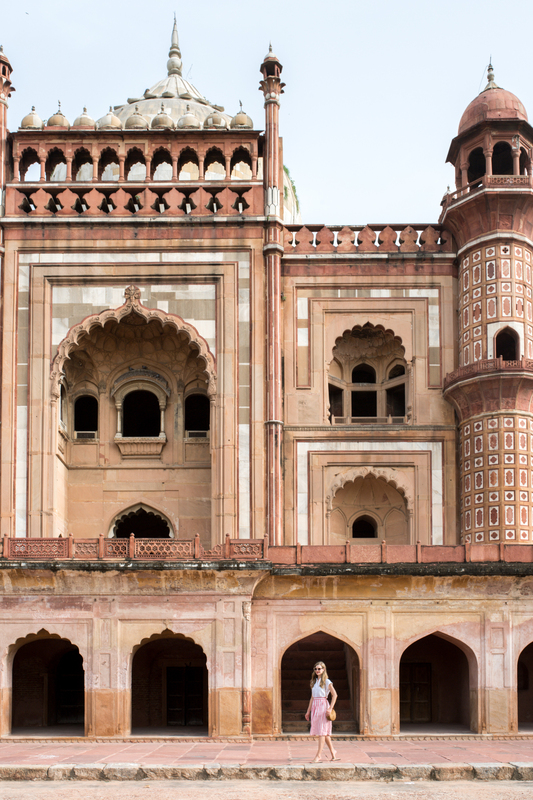 From Chandni Chowk, we went to the Red Fort but while standing in line for tickets it was so hot we decided to turn back for lunch at our hotel and an afternoon nap. 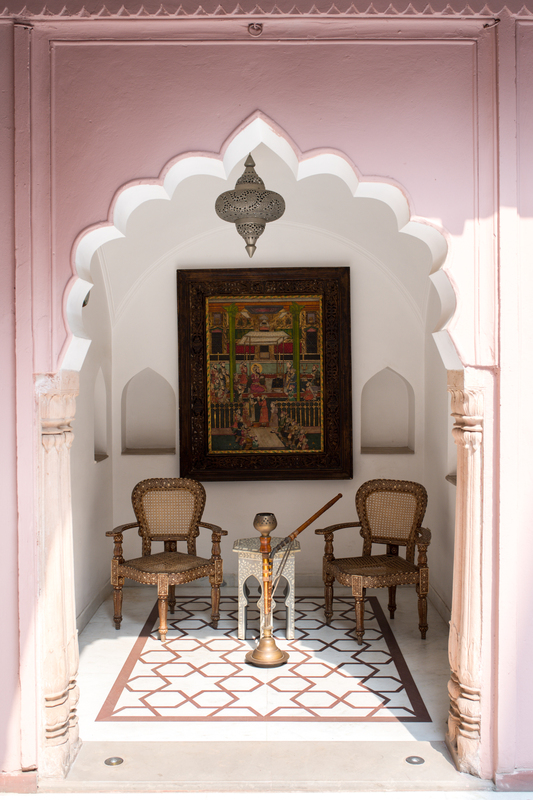 Even if you don’t stay at Haveli Dharampura I’d recommend stopping for lunch and a fresh lime at their beautiful restaurant, Lakhori, because it’s delicious, air-conditioned, and they are one of the few restaurants in the area that have safe kitchen practices. 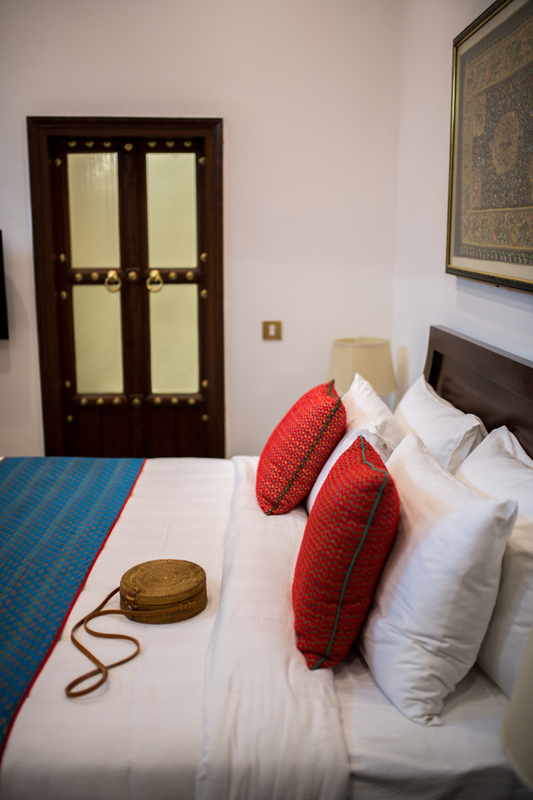 One thing to note: the hotel is not accessible by car due to the narrow streets surrounding the hotel so the last 300 meters need to be walked on foot, making this hotel better for those traveling as a couple or in groups since the walkway is not well lit if you’re returning late at night. 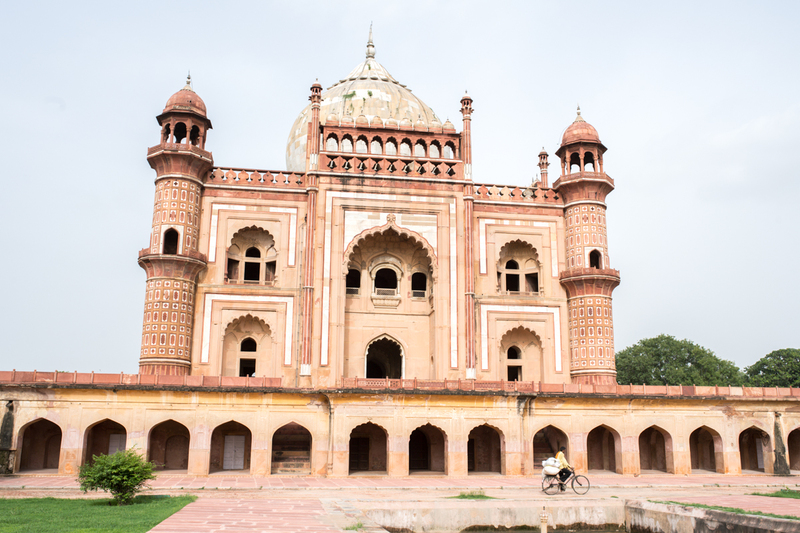 As a counterpoint to the frenzied commercial activity of Old Delhi, we enjoyed visiting lesser known sites such as the tombs of Safdarjung and Humayun (the latter was the inspiration for the Taj Mahal’s design), which were empty except for the occasional couple canoodling on a park bench. 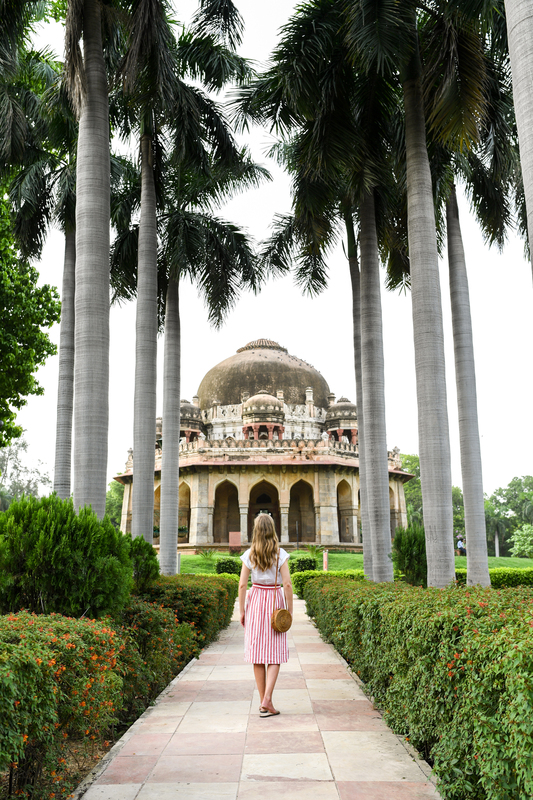 Lodhi Gardens near Khan Market are also a beautiful and calm park in New Delhi. 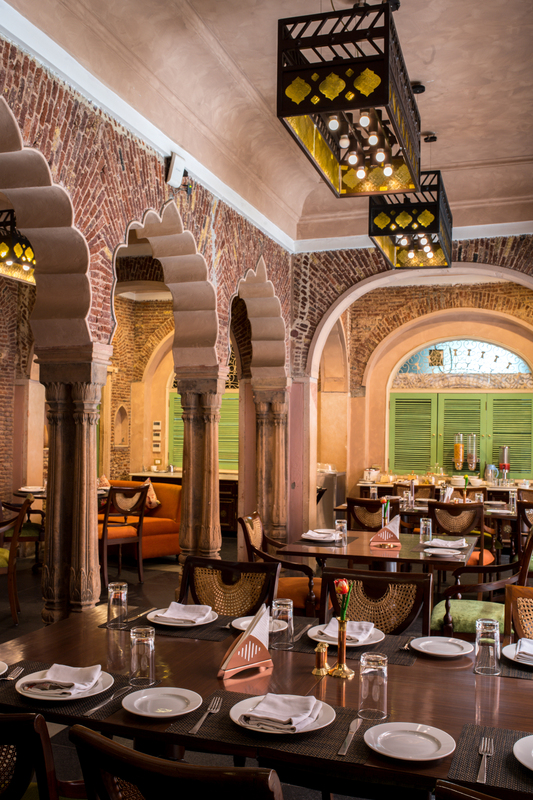 After Lodhi Gardens grab a snack at Latitude 28, the cafe and tea house above Good Earth, then spend half an hour admiring the beautiful tea sets, silk pillows and hand painted sarees in the store downstairs. 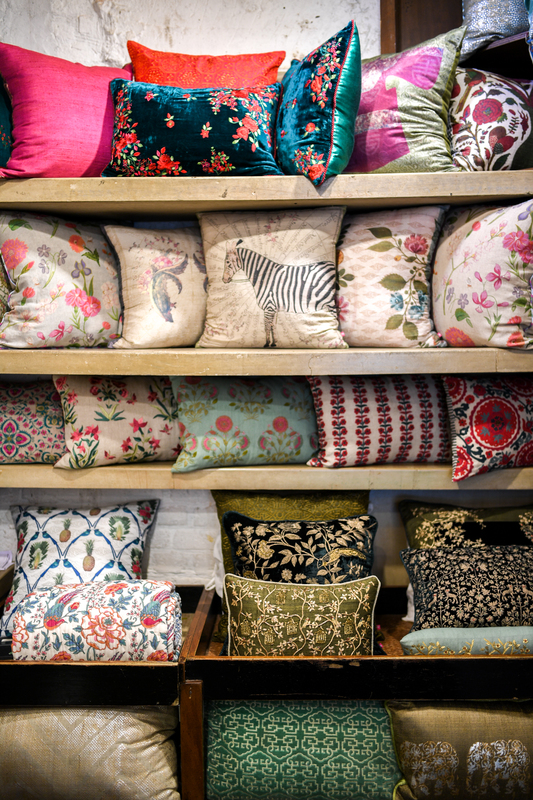 The prices are what you might pay at Anthropologie but if you’re looking for decorative keepsakes from your trip Good Earth is a must-visit. 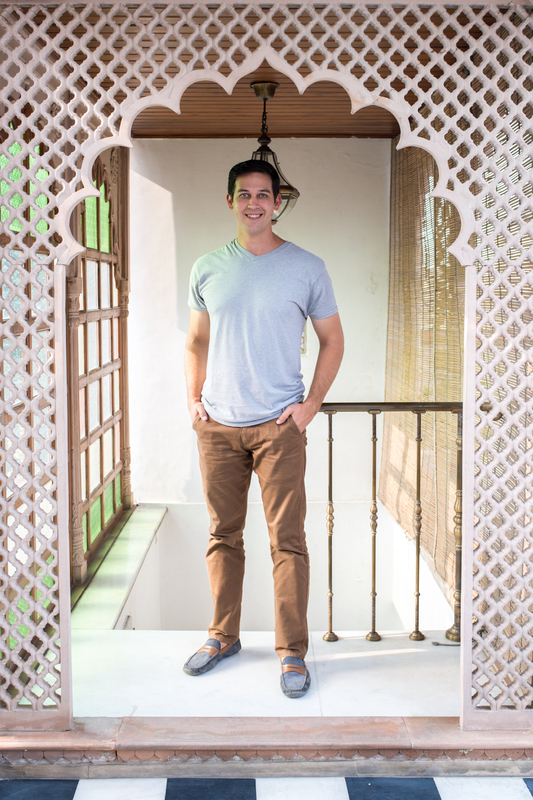 Also in Khan Market, I love FabIndia and Anoki for their lightweight block printed cotton clothing and home linens. Both companies pride themselves on socially responsible production methods and I bought almost all of my clothing from these two stores when I lived in India back in 2011. 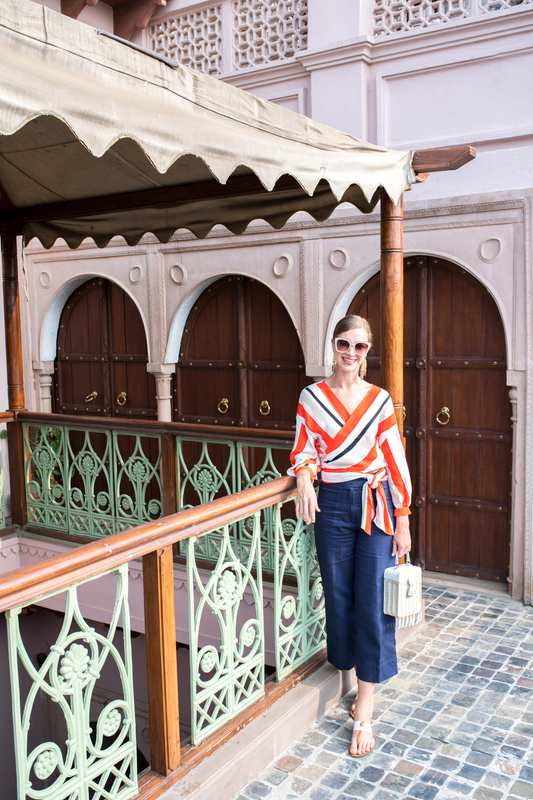 On this trip I picked up a pretty pink and green cotton caftan to wear as a beach coverup, and a silk scarf for covering my hair while touring mosques. 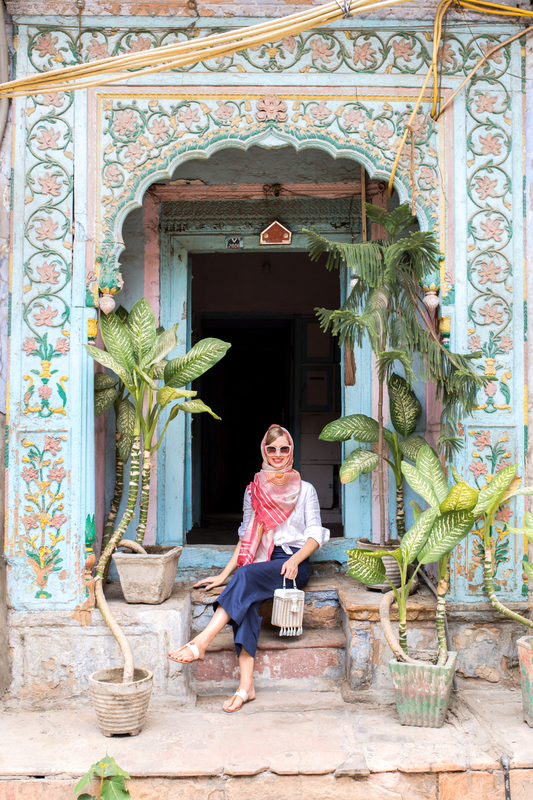 Indian designer, Ritu Kumar, is my favorite destination for Indian-inspired western styles, and I found this dress and this jumpsuit at her boutique. 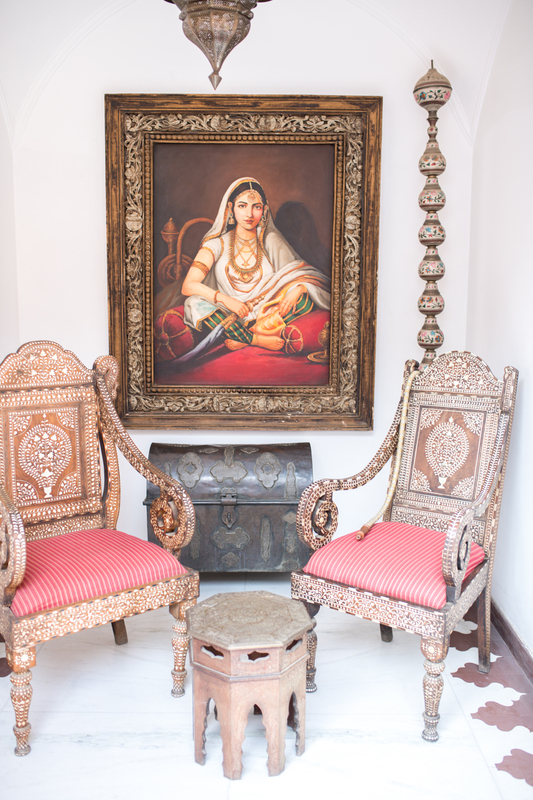 For smaller up-and-coming labels head to Hauz Khas and get lost in the little side streets surrounding Social for lots of little shops selling one-of-a-kind items. We loved the vibe and menu at Social and their rooftop is perfect for sunset cocktails.